On the night of December 8th, Blind Whino, the colorful converted church, had their lights on for a party. From ice sculptures to a mashed potato bar, Facebook pulled out all the stops for their Holiday Bash. 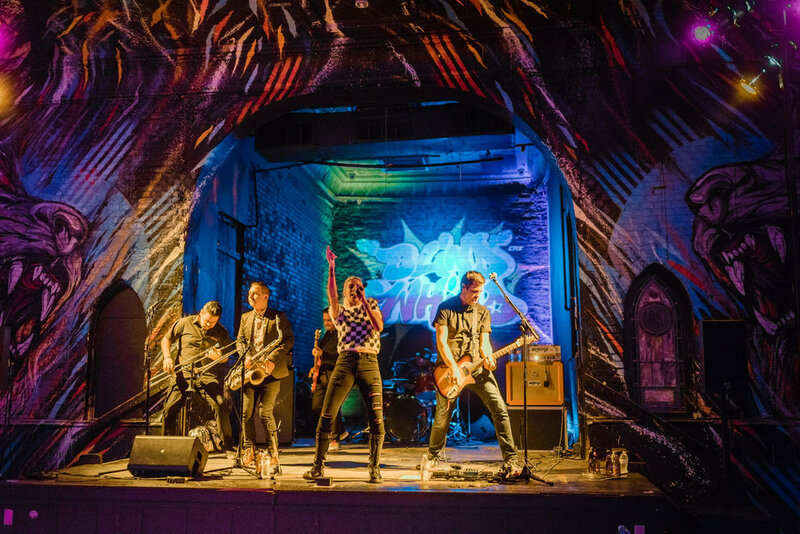 To say thank you to their staff, they threw them a spectacular night filled with live mural painting, a magician, a photo booth, a DJ, a ska band, a pizza truck and of course live screen printing! We live screen printed four exclusive Facebook designs on poster paper and tote bags for guests to take home. Surrounded by cool people and cool art, our night kept on getting better. 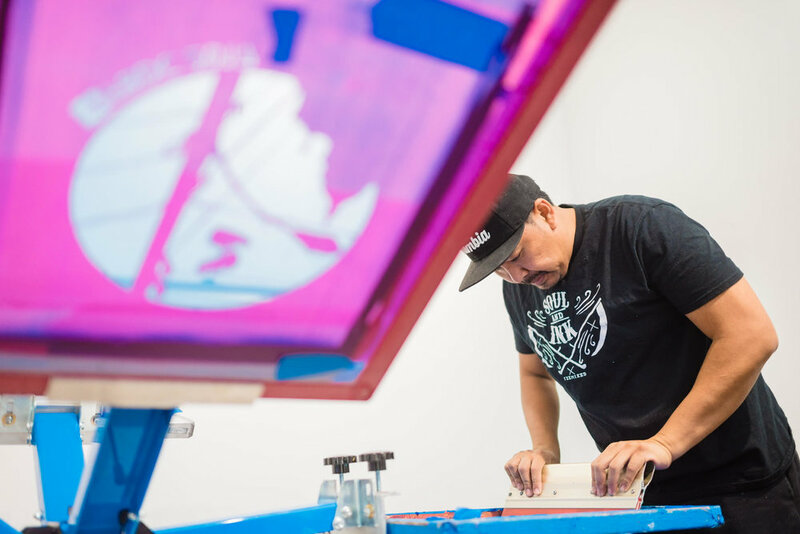 We got to talk to enthusiastic Facebook employees about screen printing, have a magic trick done right in front of our eyes and capped the night off with dancing – we were having a blast! Thank you Spilled Milk Catering for the delicious food, Party Like It’s… for the music, Adam Mason for capturing us in action and of course to Facebook for having us.